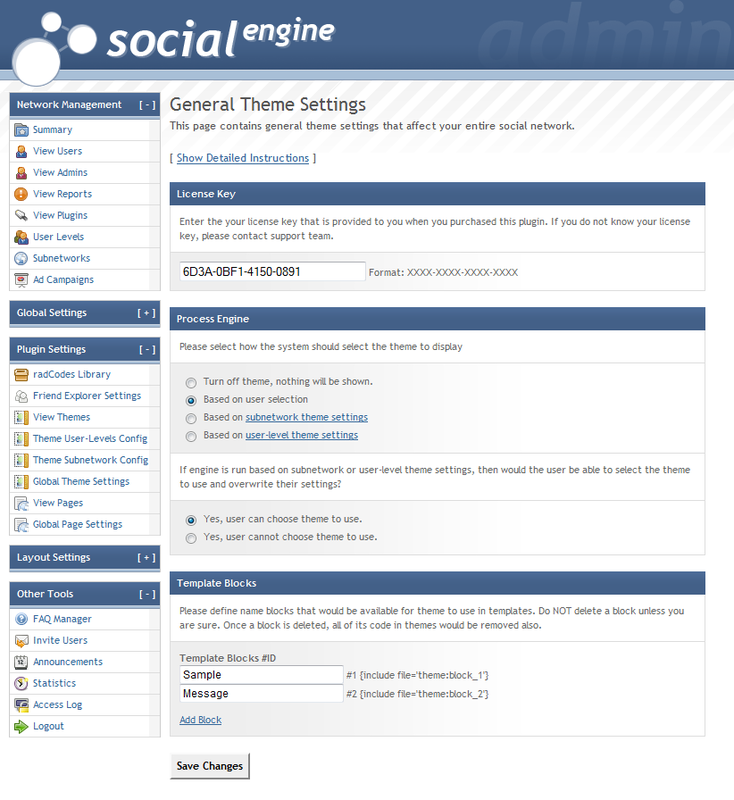 This plugin allows you to customize the look-n-feel for subnetworks, or user-levels, create different type of branding for your social network. You can also define unlimited template blocks which would show up differently depending on subnetwork&apos;s users belong to. 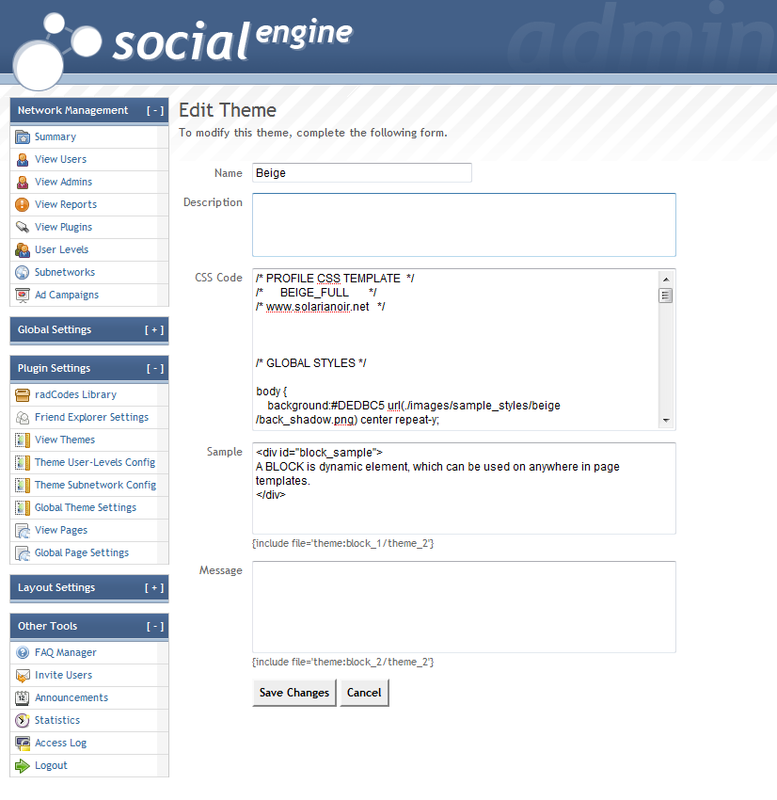 User can have option to choose which theme to use. Support running in both OWNER and USER mode perspective!!! These screenshots are taken from older version, and not up-to-date !! !